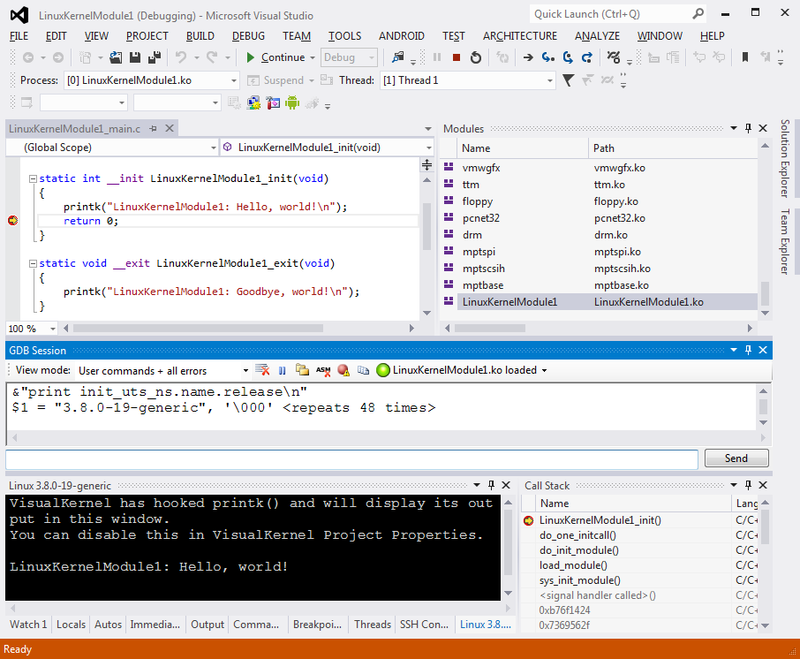 We would like to announce that we've released the first beta of VisualKernel - our Visual Studio plugin that allows developing and debugging Linux Kernel modules. It automates lots of things that are usually annoying when debugging Linux Kernel modules (e.g. it computes symbol addresses automatically and loads the symbols correctly). I hope you guys will find it useful and would appreciate any feedback from the community.